I love this beginner’s sewing machine. So easy to use! The TL;DR – it did not go well… but I think that’s only because of my body type. See, I’m a pear shape, which loosely translates to all about that bass. But I still think the process that got me a useless scrap of fabric is worth exploring, because the method behind my madness wasn’t wrong – I just had… well… too much booty. The formula for a circle skirt isn’t that complicated – but the less math I have to screw up, the better. That’s why I love this circle skirt calculator I found. I put in my measurements and was told exactly the cuts I needed to make to form my circle skirt – more on that in a second. With my planned skirt length and width, I was ready to go! — sort of. And it was about two inches shorter in the back than in the front – not because of my sewing, but because… well. Dat booty. And hiking up that much in the back does not make for an appropriate view, believe me! Looking back, I think I’ve always had this problem – back from the full-length brown ombré skirt I loved so much in high school when it wasn’t cool at all, to the short dresses that I could never get to work with my lower half. It’s the curse of the pear, really. How do you know what style of clothing will fit you, though — before you commit a fashion faux pas? Patience, that’s how. 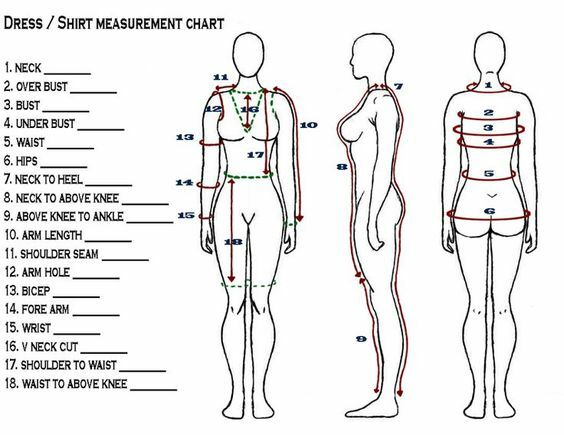 I’m working on a big resource to help you find your body type and customize a wardrobe just for you, along with some other helpful tips.